Read the longest interview with the famously reticent Bill Watterson ever published. See cartoons that influenced him in his early years -- "Peanuts," "Pogo," "Krazy Kat." View cartoons he drew in college, the first three "Calvin & Hobbes" strips, and many more. 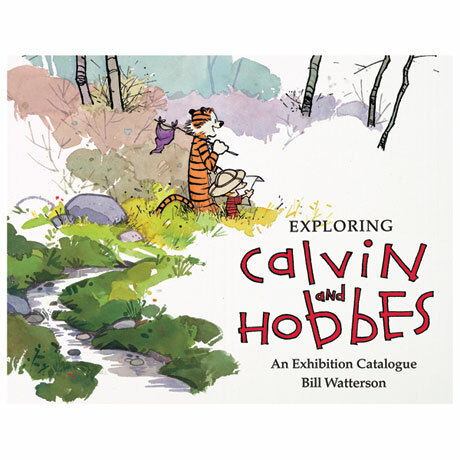 Created to accompany a 2014 exhibition at the Billy Ireland Cartoon Library & Museum in Ohio that broke all previous attendance records, this book is a window into how Watterson's cartoon about a boy and his stuffed tiger became "America's most profound comic strip" (Wall Street Journal). 8½" x 11", 160 pages, illustrated throughout.